Good to very good condition An XI / AN XIII French marine's cutlass and scabbard, dated December 1823. Please note; I have shown the worse sside of the blade below; the other side is better. A good Napoleonic pattern (though made after Napoleon) French naval marine's cutlass / sabre-briquet and scabbard. 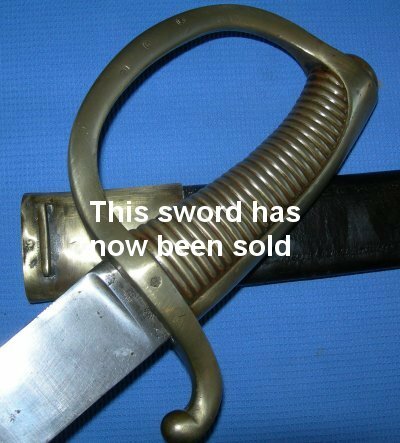 The sabre in overall good to very good condition. The scabbard good but creased / worn (fragile) near the chape. 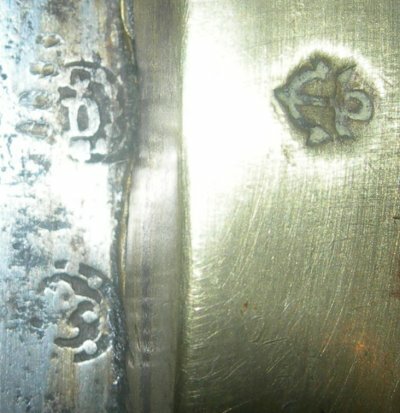 Marked on the spine for Klingenthal December 1823 with the correct inspectors poincons of Jean Thomas Dubocq and Jean-Georges Bick to the blade's ricasso / forte.